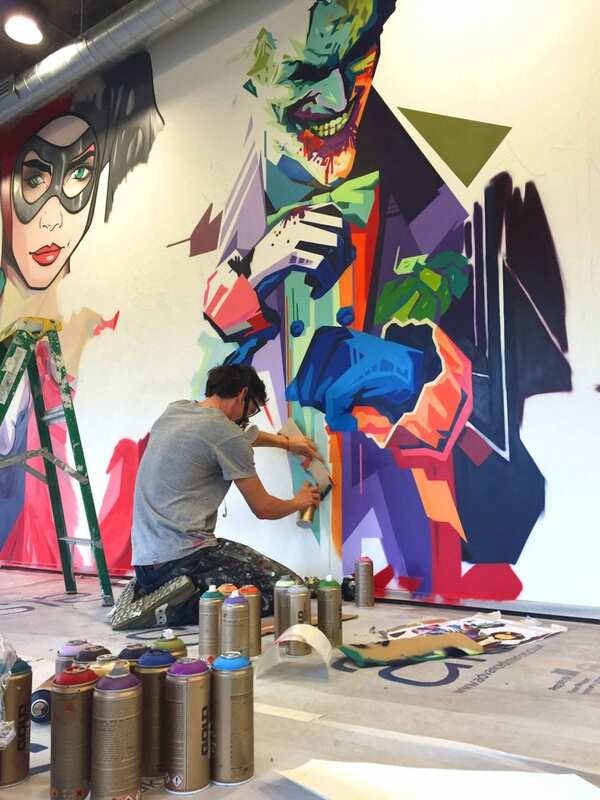 At Soulful Creative, we love to paint on a large scale. Hand-painting has the ability to bring an office, restaurant or even an event to life. It creates a vibrancy and energy that printing alone simply can’t deliver. 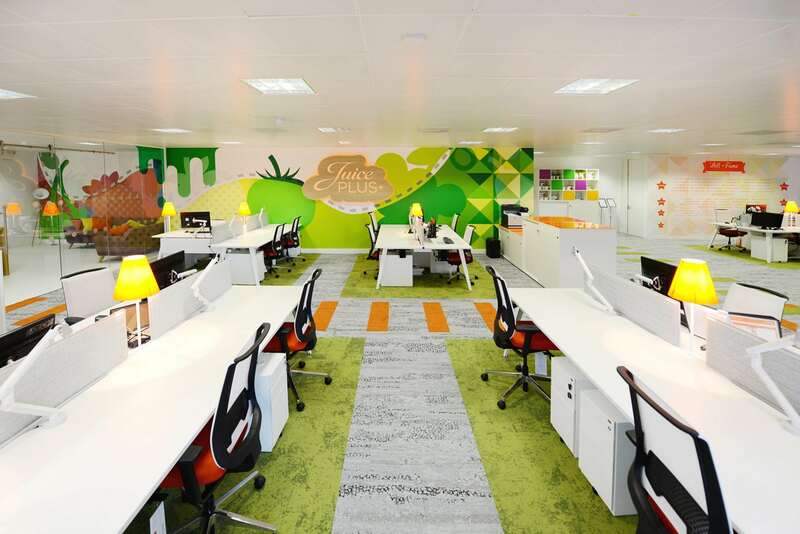 Colours are sharper and bolder, which gives a dynamic and fresh feel to the space. Every mural we create for our clients is uniquely designed and crafted to fit their brief and work beautifully within the space. Essentially each project is a bespoke piece of art. We are passionate, bordering obsessive, about attention to detail and colour. 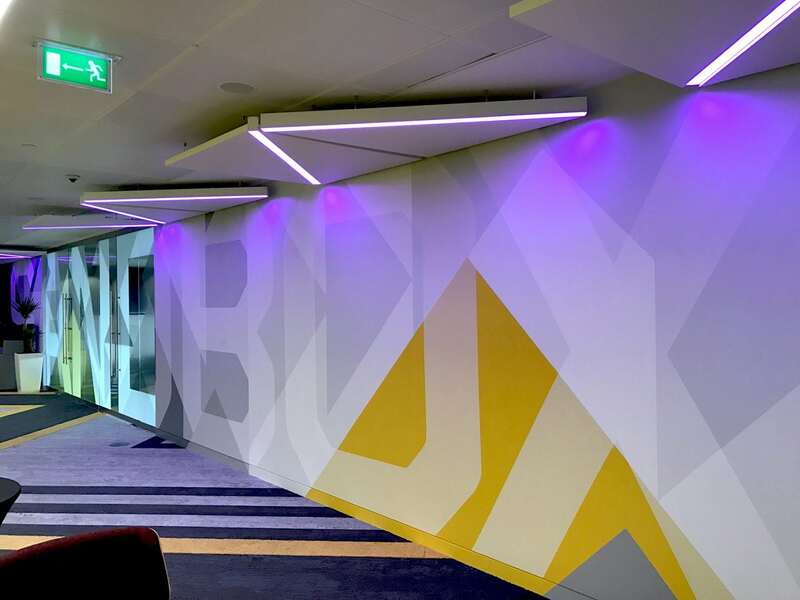 We work with your vision and corporate branding to deliver murals that are both creative and ‘on-brand’ – and the Pantone book is always close to hand. 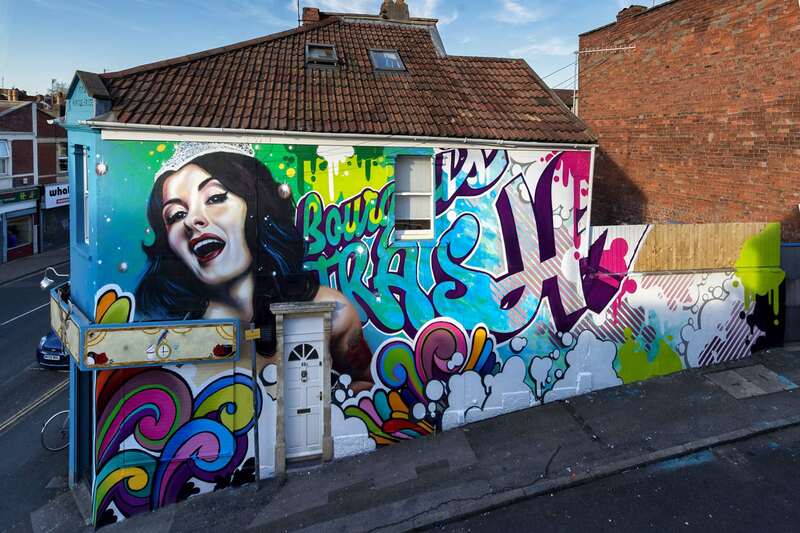 Our team of designers and artists bring a wealth of experience of working with interior and exterior spaces – from a nightclub created in specialist UV paint to a statement mural on a restaurant façade – really anything is possible. 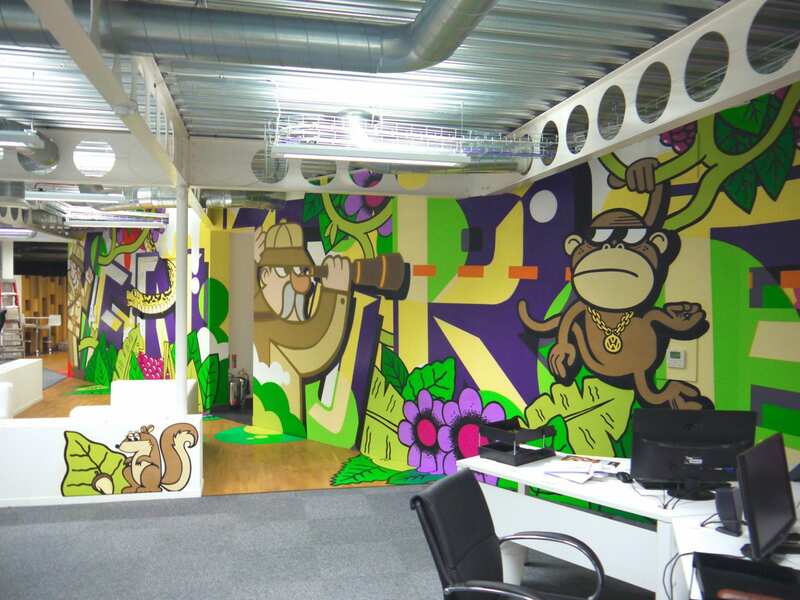 Using a range of styles and techniques, from graphical and typography to illustrative and graffiti inspired, we can blend designs to create something truly original and exceptional for your space. Something to make employees and customers go ‘wow’. 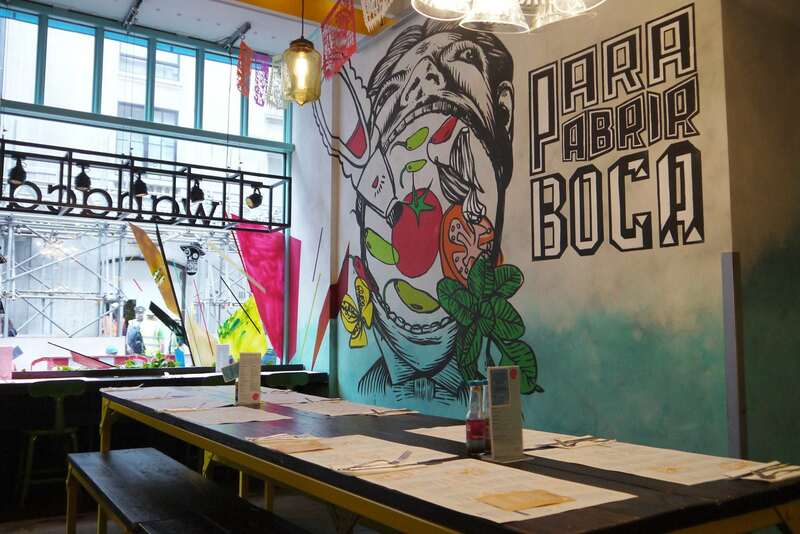 So, whether you’re looking to completely transform the look and feel of your office, or create a standout feature wall as part of your restaurant refit – we’d love to make it happen.